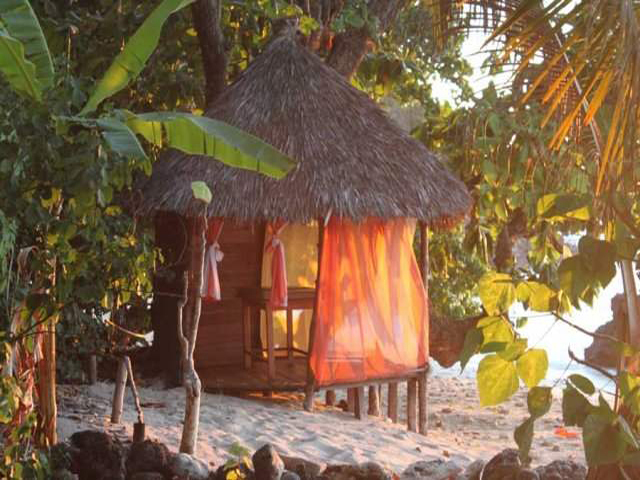 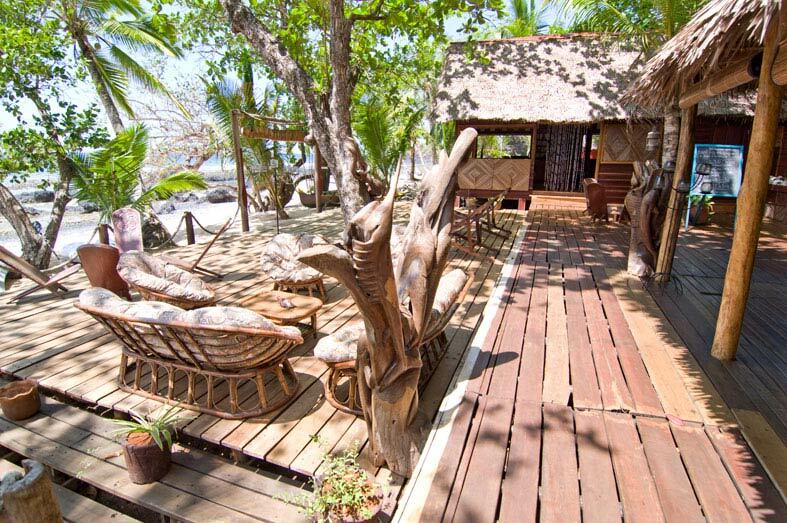 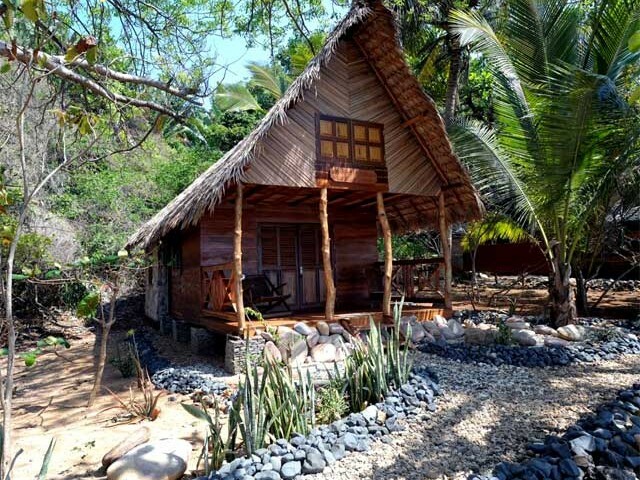 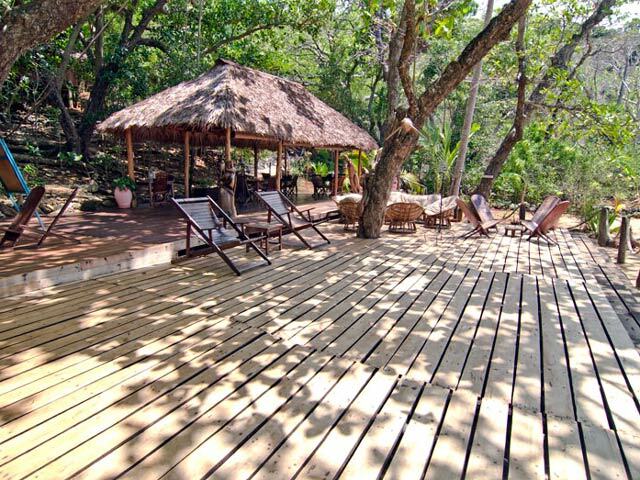 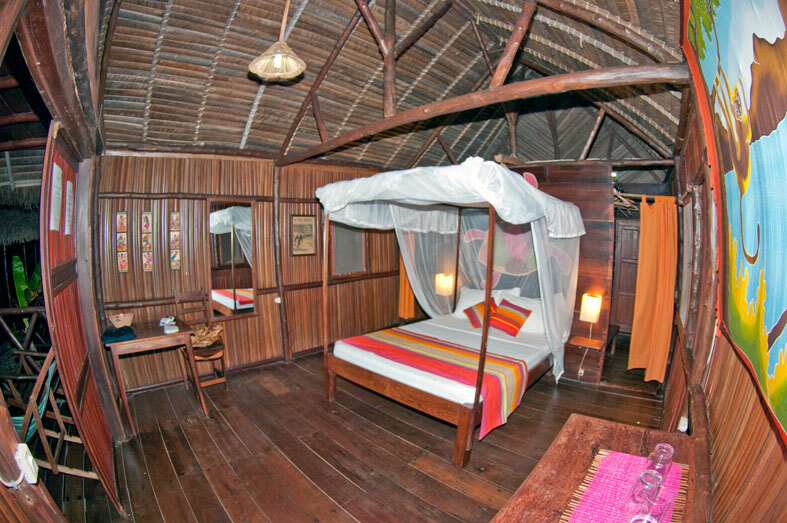 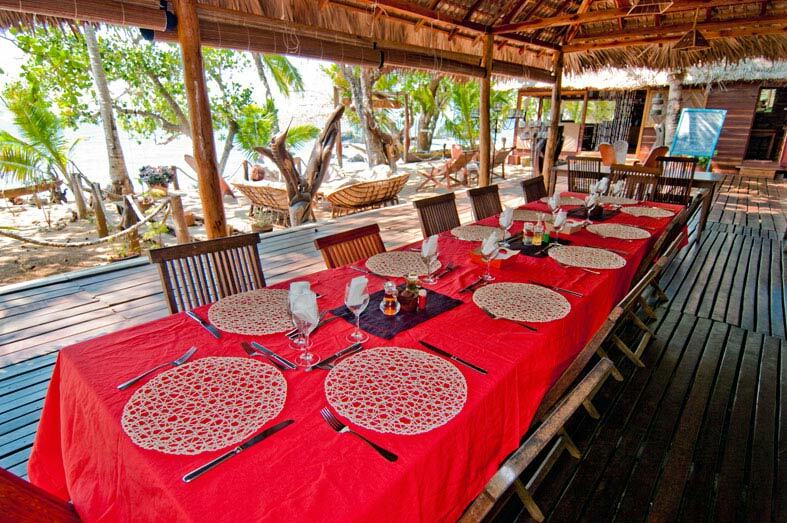 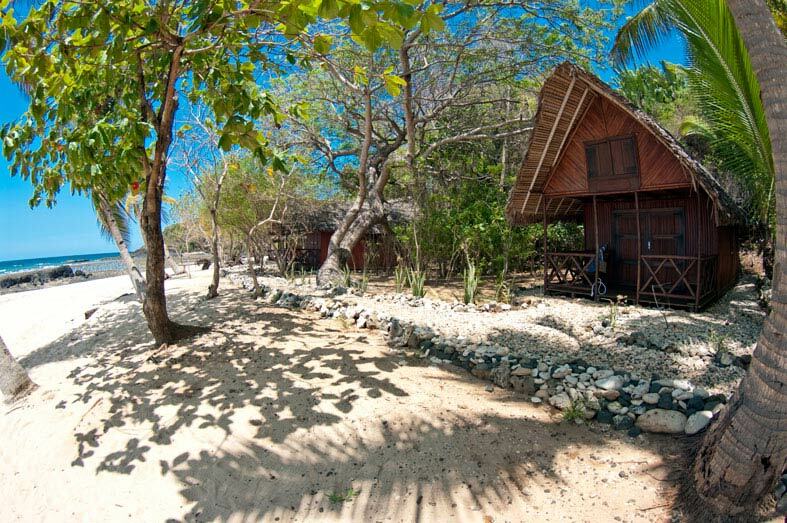 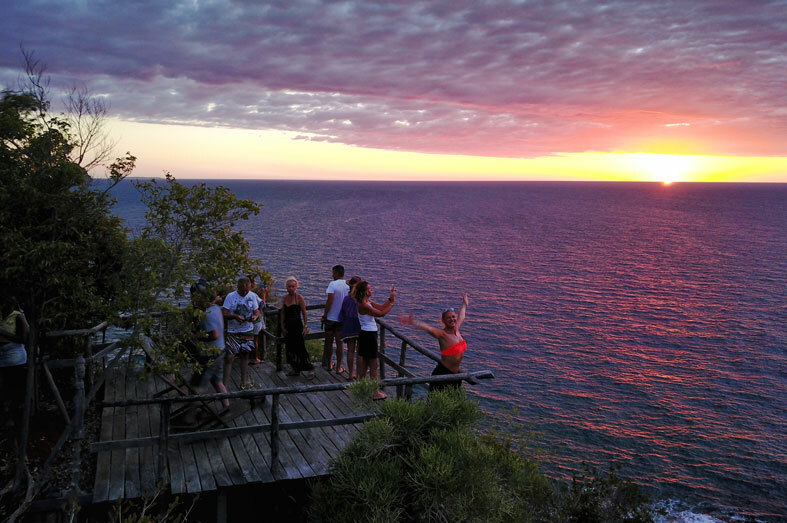 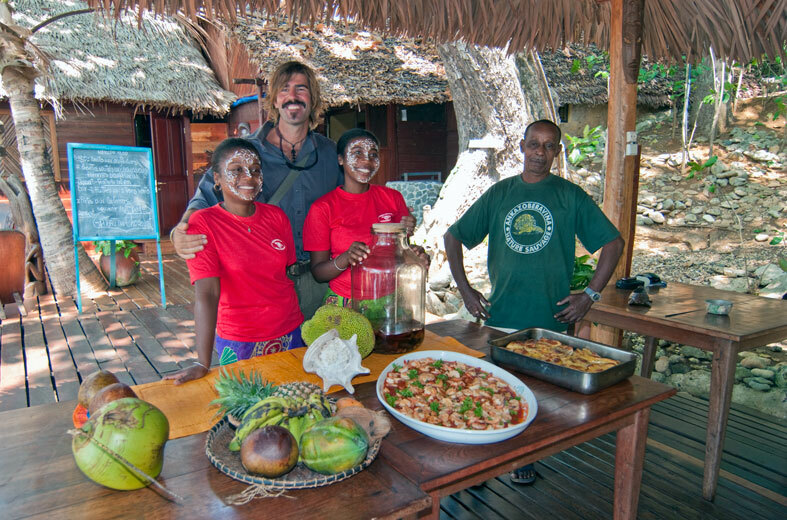 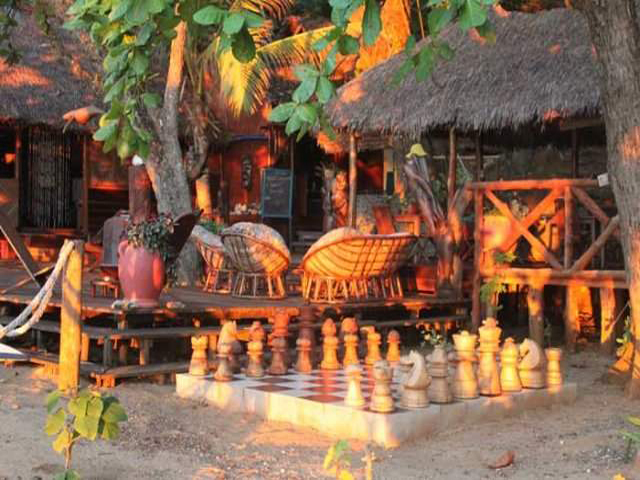 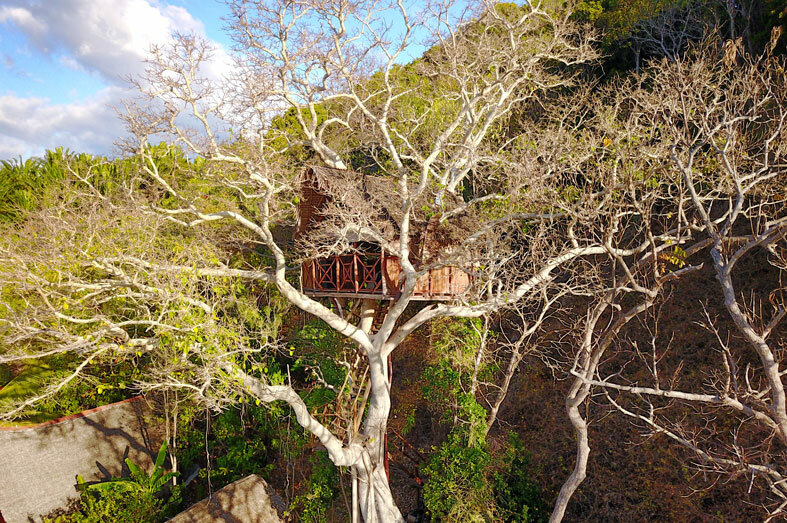 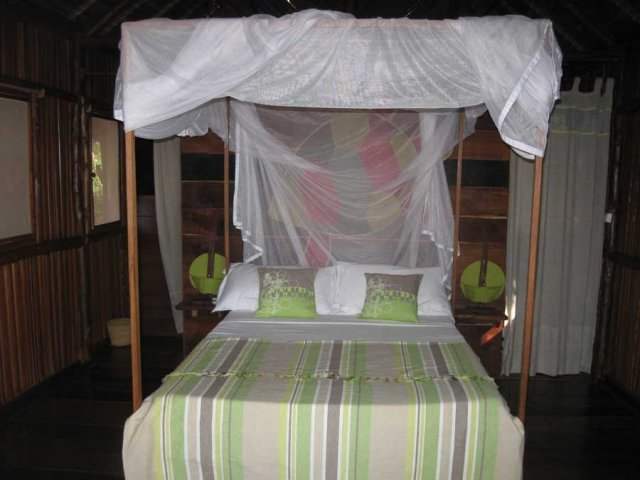 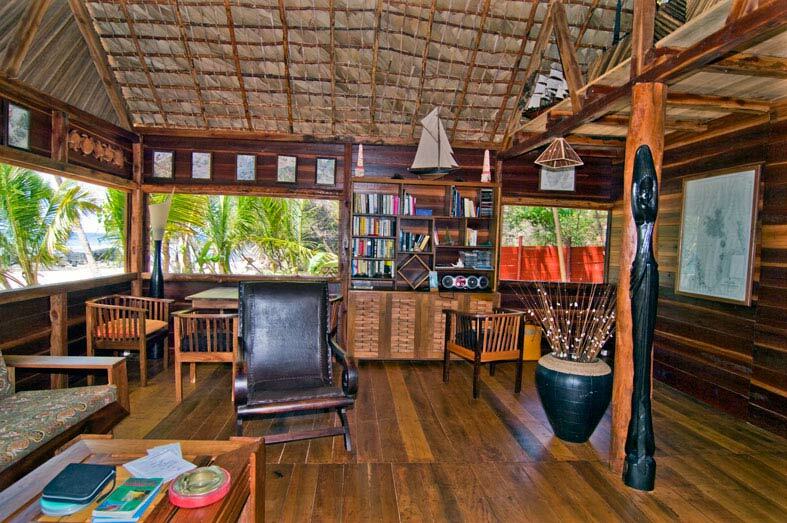 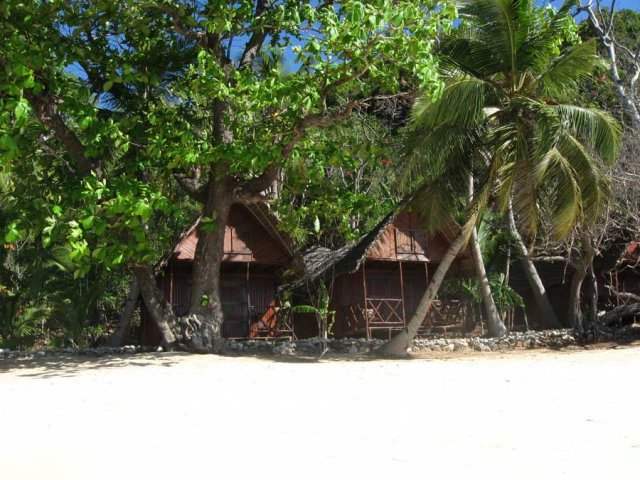 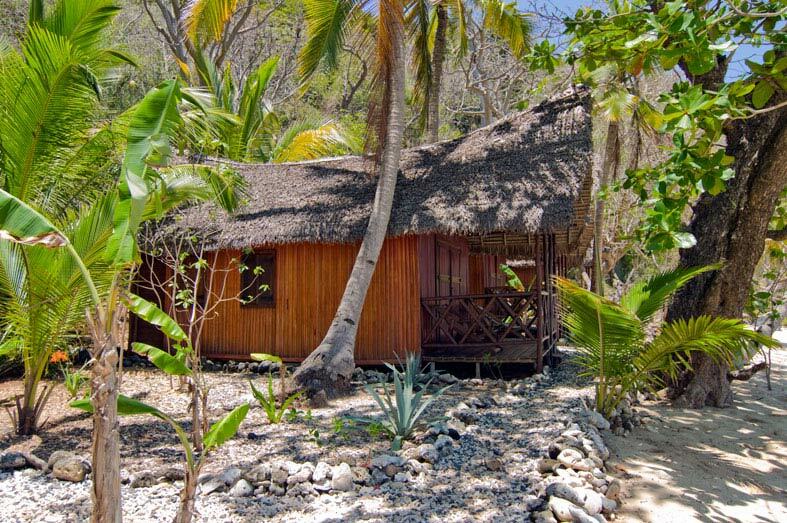 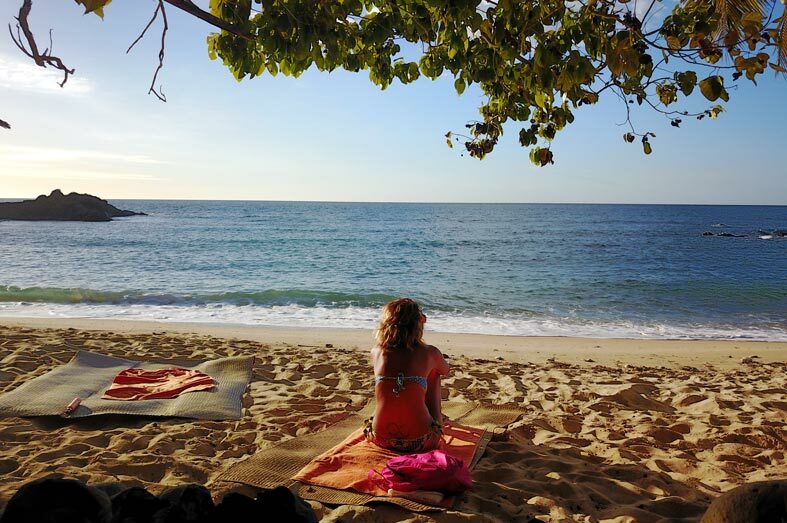 For anyone wanting to stay on land, Ankazoberavina (“island with large leaves trees” in Malagasy), offers 14 ha of virgin forest on the northwestern end of Madagascar surrounded by Mozambique Channel’s hot waters, in a zone where abound sharks, tunas and dolphins. 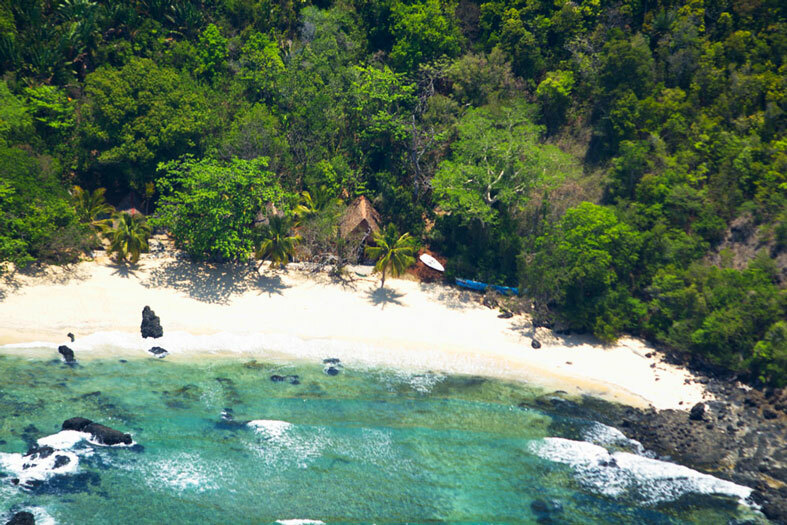 The island, the neighboring Antsoha and the Ankivonjy islands form one of the protected zones of Madagascar, which is overseen by Wild Nature, society owner of the only ecotourist structure of the zone. 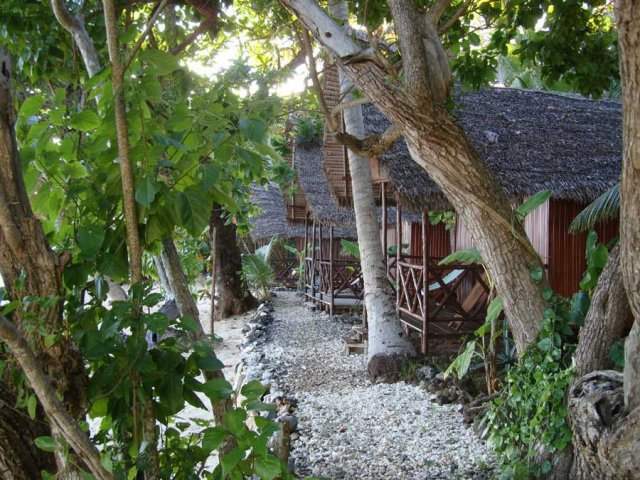 The structure is composed of eight bungalows, not apparent from the sea, hidden among coconut trees, built in using traditional techniques and natural fibers. 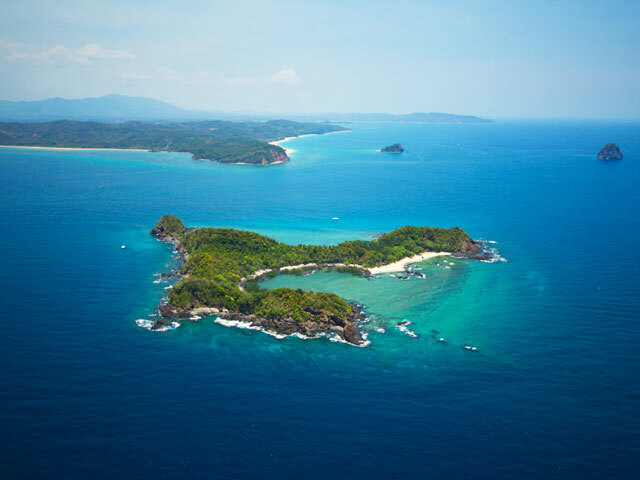 Water comes from a coastal source and electricity is assured by a generator precluding the neighboring zone of the beaches to avoid frightening sea turtles laying their eggs during the night. 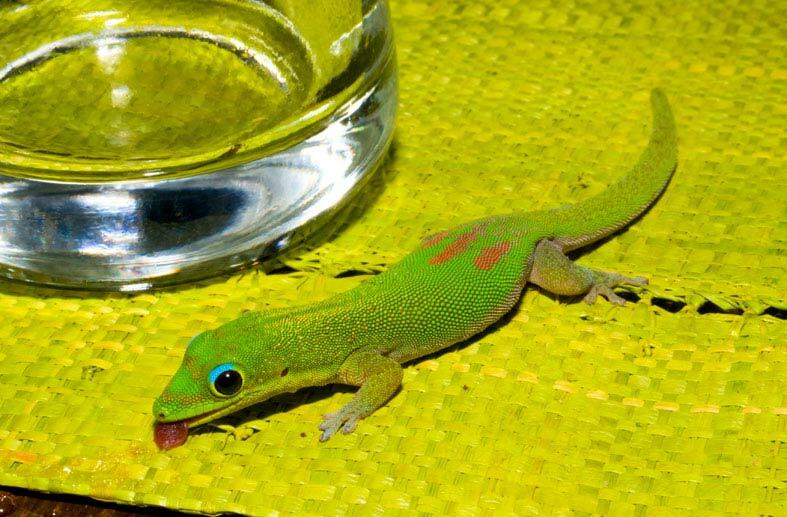 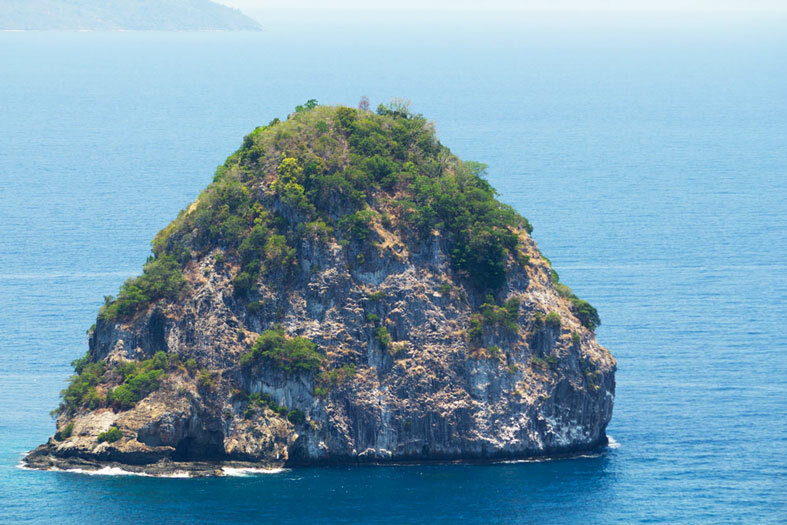 The sparse hectares of the island ground provides for a very rich plant and animal ecosystem: chameleons, lemurs and sea turtles. 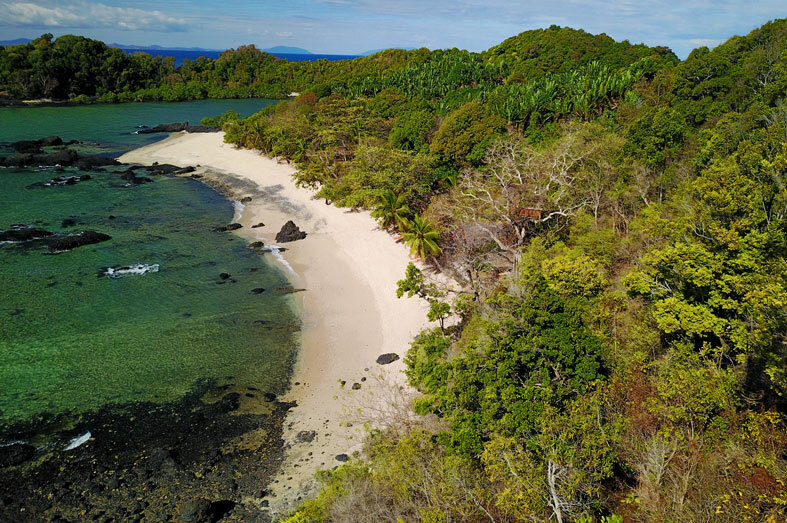 The fish eagle or osprey of Madagascar, critically endangered specie, settled up the tallest trees reaching 30 m.
The island’s pristine forest is crossed by a trail that joins the small village with beaches of basalt pebbles on the southeastern end. 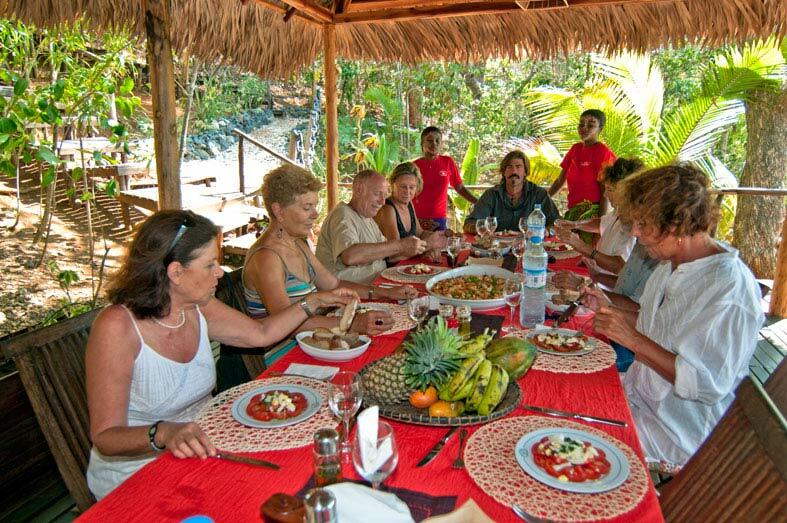 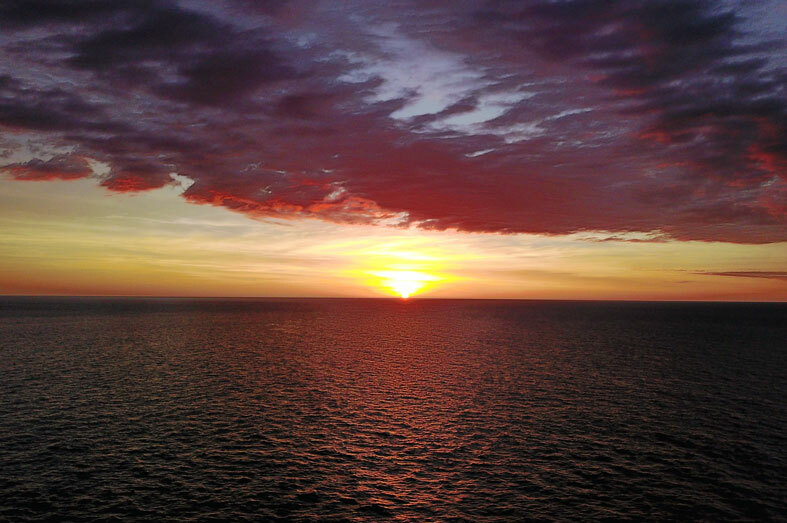 Journeys out on canoe, on sailboat or on motorized boats are at the disposal of the structure allowing to visit the neighboring islands and practice drift fishing. 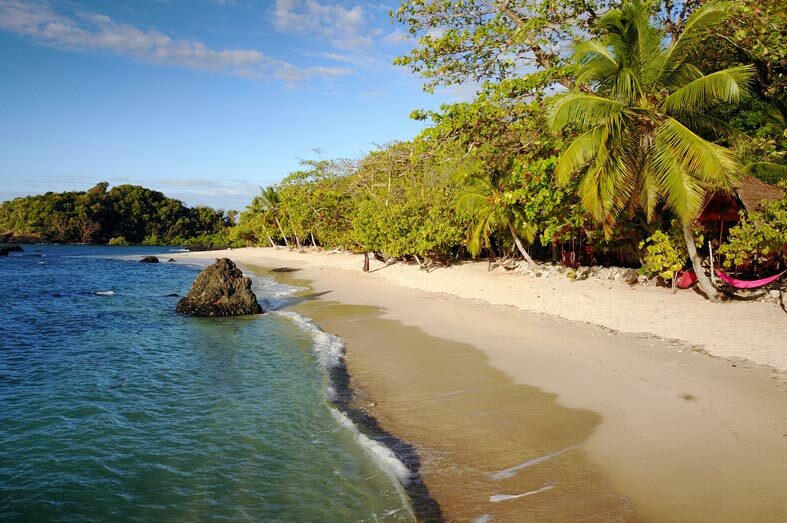 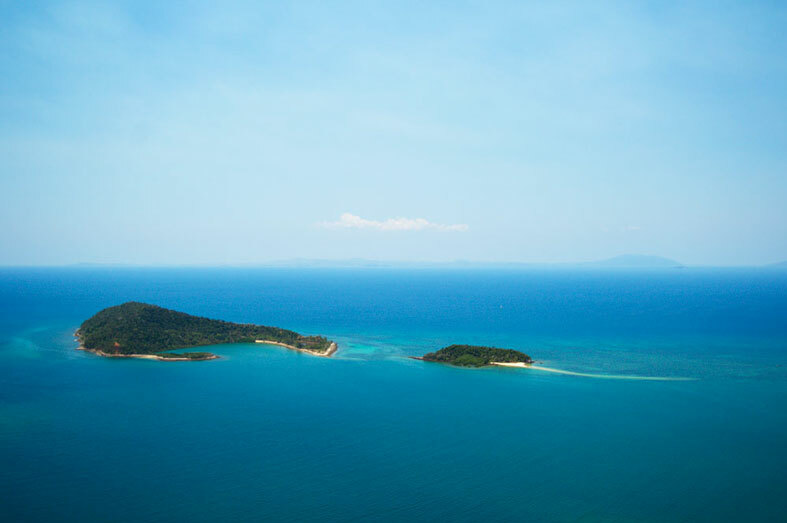 The splendid beaches of Nosy Tanikely and Nosy Iranja are not far. 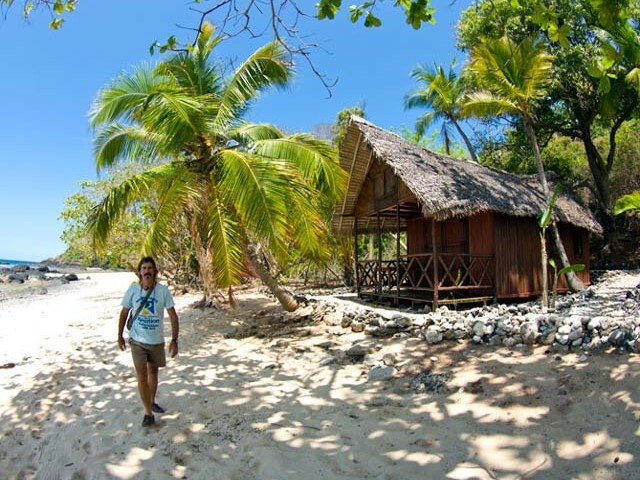 The bay of Russians, with its peaceful fishing villages and the Mangrove Channel, home of a numerous community of crocodiles of Madagascar, complete the natural painting of this place.